There is a mild nip in the air. Bangalore never gets too cold but the weather here is always perfect for a warm slice of cake and coffee. 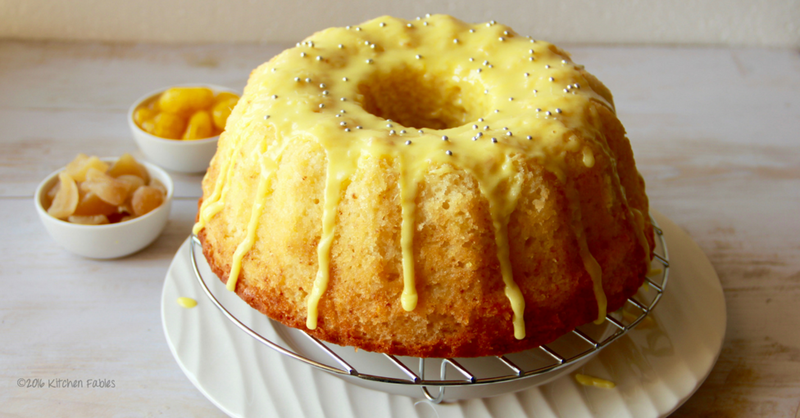 My favourite cake is Warm Lemon Ginger cake. 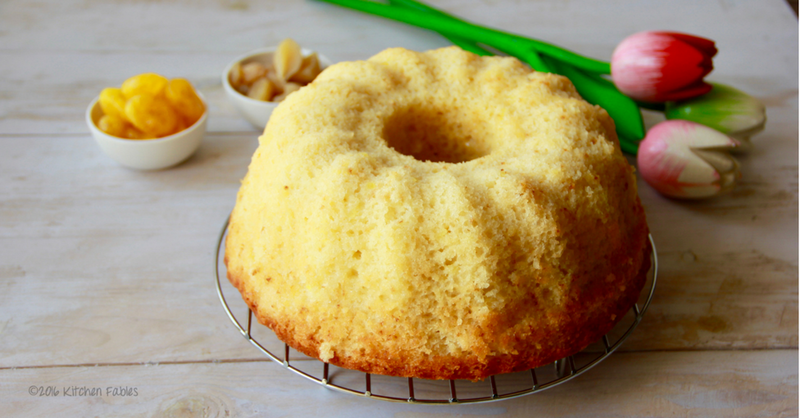 It is a Lemon Tea cake and to add a little warmth I added candied ginger. The result was awesome. 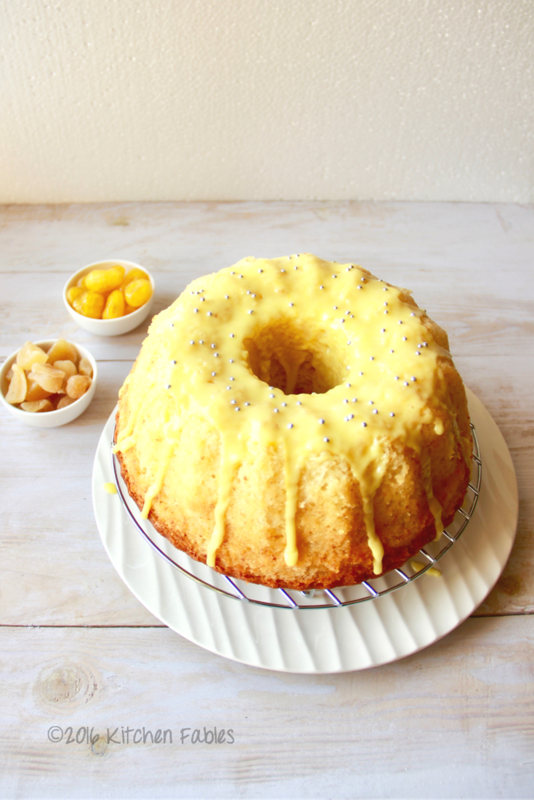 Lemon cake is the first cake that I baked for my husband and before I even realised , half the cake was polished off. Since then I have baked it many a times for him. Today is a special day, too. As today is the first time I used my brand new Kitchen Aid Stand mixer. I am sure all of you who love baking would know that it is impossible to to not-bake once the Kitchen Aid is delivered. So, This time added candied Ginger to add to the warmth. A slice of Warm Lemon Ginger Cake is nothing else but bliss. Lemon and ginger cake as the name suggests is mildly sour and ginger just spices it up. 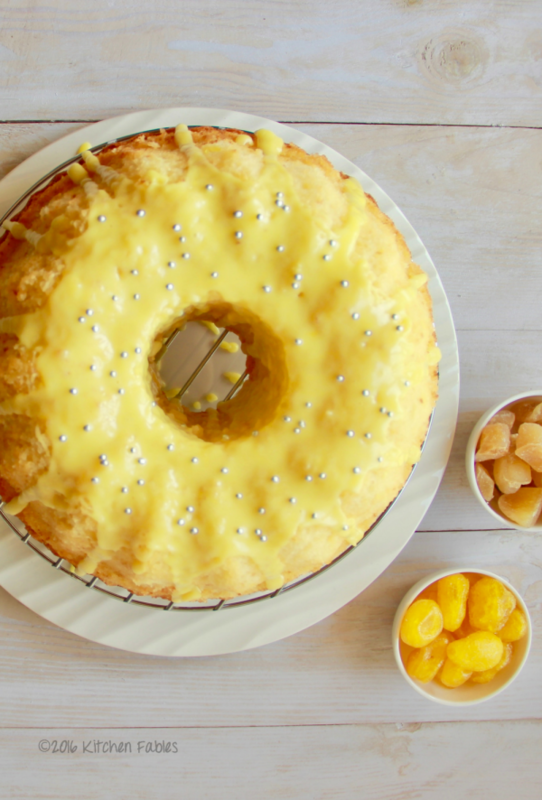 To add to the tanginess is the glaze with lemon juice and confectioner’s sugar. 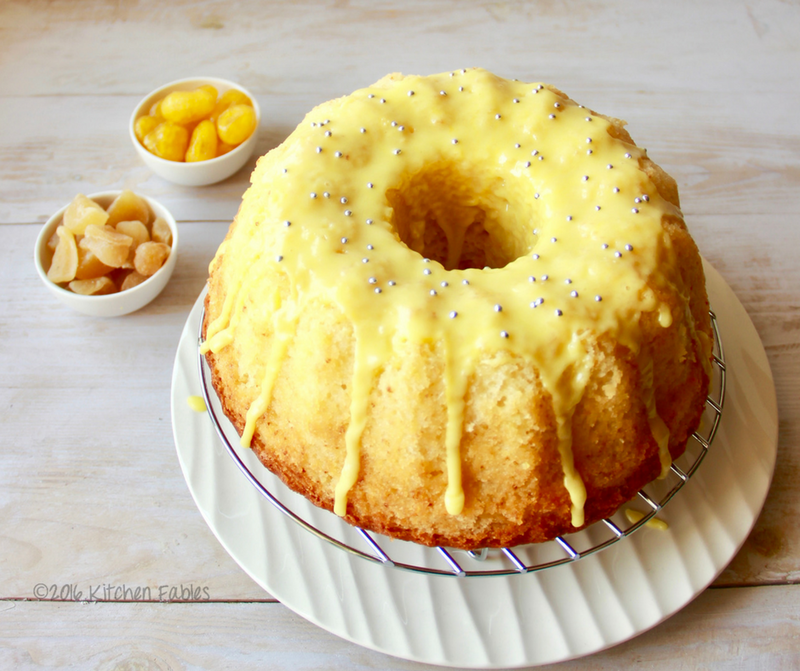 Since the cake is not very sour the tangy glaze is a perfect combination. While I baked today keeping in mind my Husband’s choice, but he got only a slice of the cake as my daughter invited all her friends home. All the kids loved the cake and soon I will be baking more. Please note that I have used candied lemon and ginger for this cake. In case you do not have candied lemon and ginger , replace candied lemon with rind of two lemons and instead on Candied Ginger use the one fourth teaspoon ginger powder. I would love to hear from you on how the recipe turned out for you, please leave a comment. 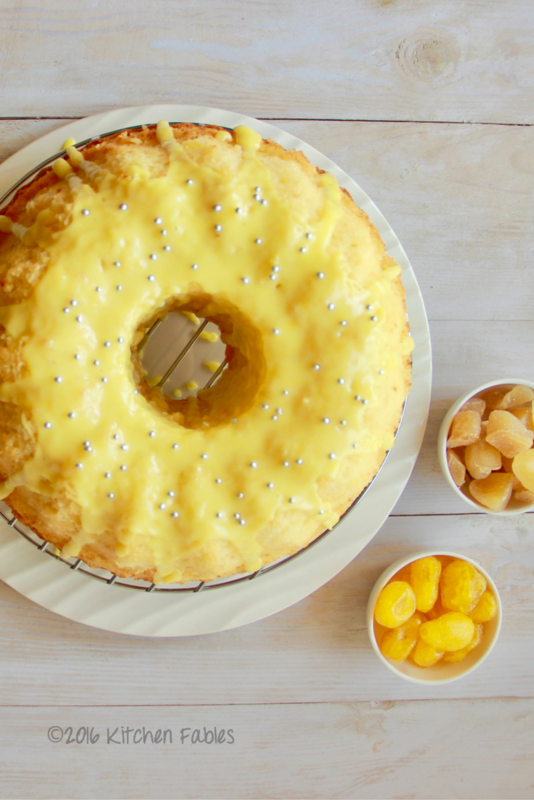 Mix lemon juice in the confectioner's sugar to get a dripping consistency glaze. Pour the glaze on the cake. wow, wow, wow! what do we have here! Thank you Arun. Do try it out a big success with family and friends. Arun do let me know how does it turn !! Thank you so much Laxmi ! !